The Golden Temple Amritsar, India (Sri Harimandir Sahib Amritsar) is not only a central Religious place of the Sikhs, but also a Symbol of human brotherhood and equality. Everybody, irrespective of cast, creed or race can seek Spiritual solace and religious fulfillment without any hindrance. It also represents the distinct identity, Glory and heritage of the Sikhs. 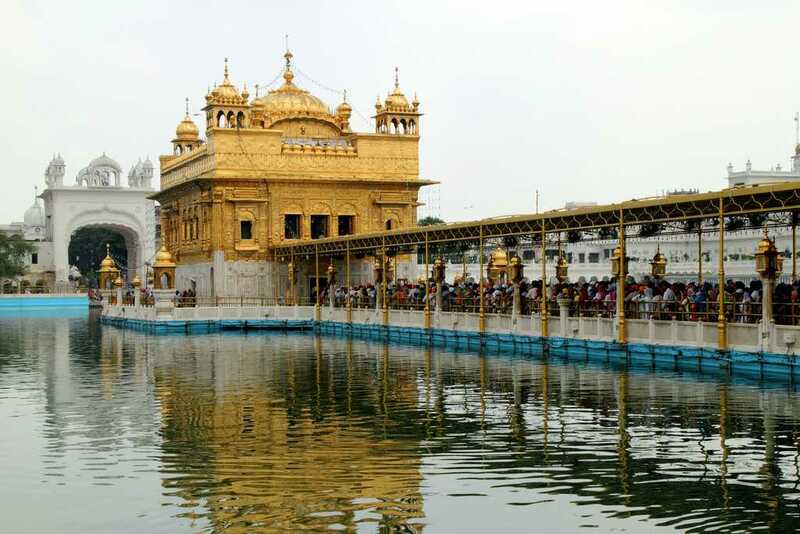 Around seven year ago by the time of Updating this Article(Date: April 14, 2019), I went to Golden Temple with my brother in law and his daughter by Bus from Chandigarh to Amritsar. Then we sat in Rickshaw from Bus stop to Golden temple and the below Video is the view of that time, which I made while sitting on the Rickshaw. Sri Harmandir Sahib, also known as Sri Darbar Sahib or Golden Temple. 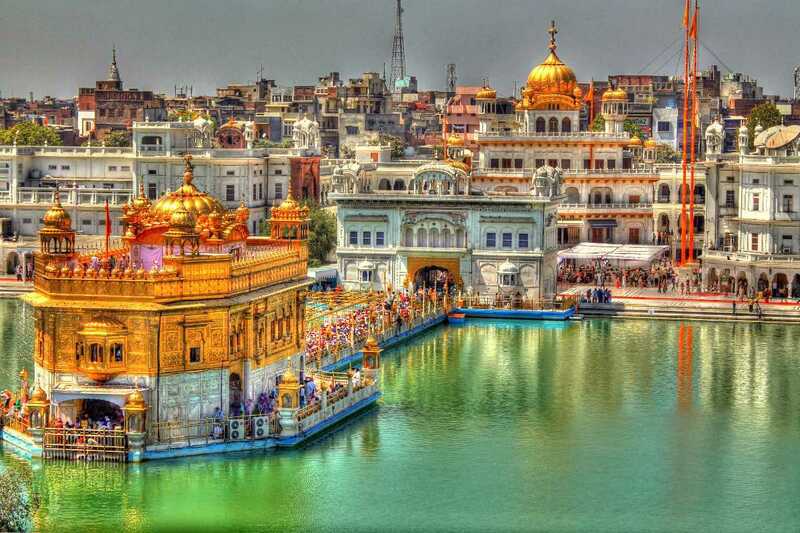 The Temple is built around a man-made pool (sarovar) that was completed by Guru Ram Das Ji in 1577. Guru Arjan – the fifth Guru of Sikhism, requested Sai Mian Mir – a Muslim Pir of Lahore to lay its foundation stone in 1589. Last year me and my husband went to Harminder Sahib with our son’s in laws and Komal Preet Kaur(now his wife) That time we went to Gurudwara night time, because their home is situated around 20 minutes distance from Gurudwara. It was my first visit in my whole life(54 years of my life) that I’ve seen Gurudwara night time. The scene was amazing and there was such a peace that one can imagine like a Heaven on Earth. So enjoy this Above Video. The Golden Temple, located in the city of Amritsar in the state of Punjab, is a place of great beauty and sublime peacefulness. Originally a small lake in the midst of a quiet forest, the site has been a meditation retreat for wandering mendicants and sages since deep antiquity. 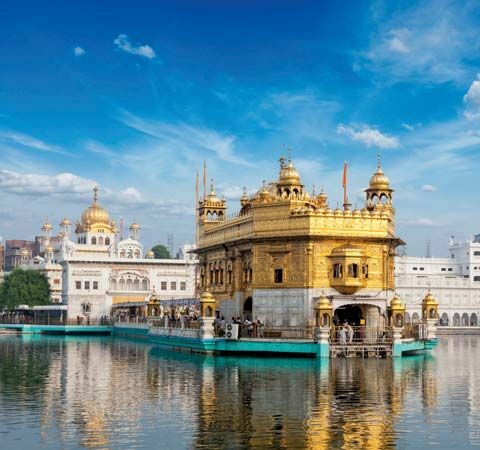 The Golden Temple is one of the holiest sites in India. It is visited by hundreds of thousands every year to say their prayer in a site, where the first Guru regularly said his prayers. The first Harmandir Sahib was built in 1604 by Guru Arjan Dev Ji, the fifth Sikh Guru, who symbolically had it placed on a lower level so that even the humblest had to step down to enter it. He also included entrances on all four sides, signifying that it was open to worshipers of all Castes and Creeds. The temple started to be built in 1581 with the first version of the temple taking eight years. Guru Arjan Dev Ji planned the temple to be at a level lower than the city to emphasis humility before entering the premises. He also demanded that the temple compound be open on all sides to emphasise that it was open to all. There is a continuous singing of Gurbani Kirtan (hymns) at Sri Harimandir Sahib from the opening of its portals (doors) to their closing. 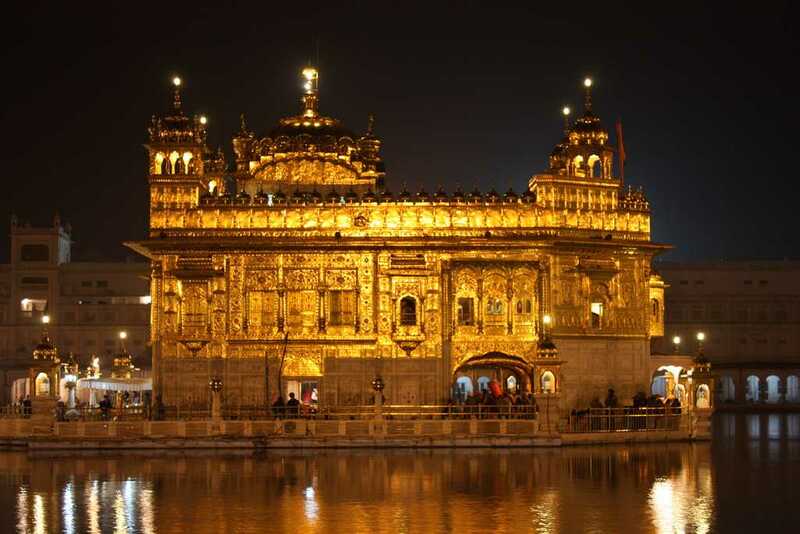 Golden Temple of Amritsar, stands as the central holy place in the Sikh religion. The housing of the holiest Scripture of the Sikh faith, the Sri Guru Granth Sahib, within the temple bestows upon Harmandir Sahib the highest blessing. A large lake of water, known as the Sarovar which consists of Amrit (Holy Water or Immortal Nectar), surrounds the temple. The four entrances to the temple signify the importance of acceptance and openness.